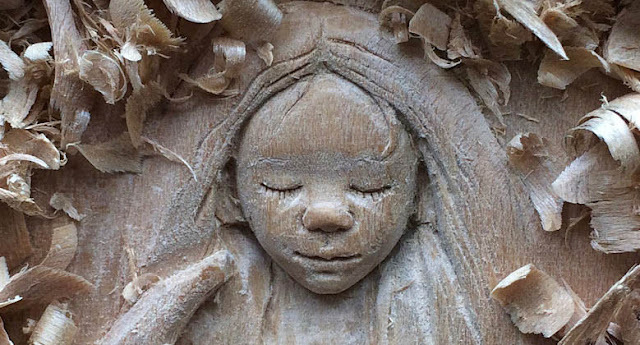 If you're looking for a place to shop for dark candles, check out Creature Carvings, a Etsy shop based in Cold Spring, New York. I'm not sure I would ever actually burn one of these beeswax candles. 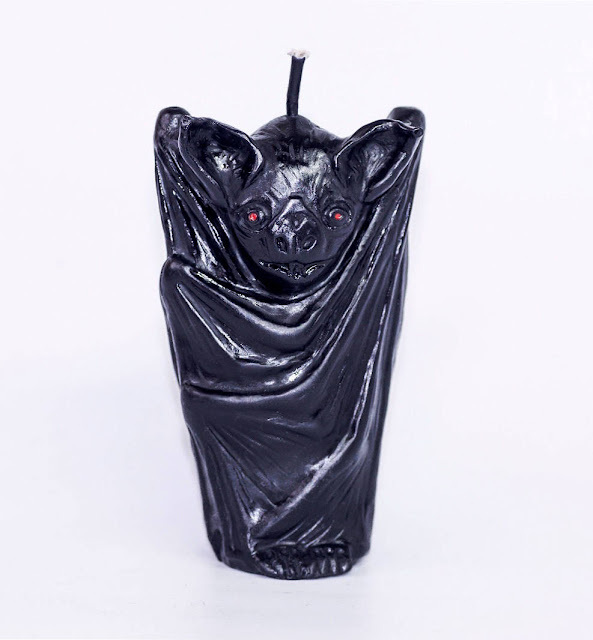 I'd rather keep this Vampire bat candle around to decorate my mantel, especially during autumn and the spooky season. 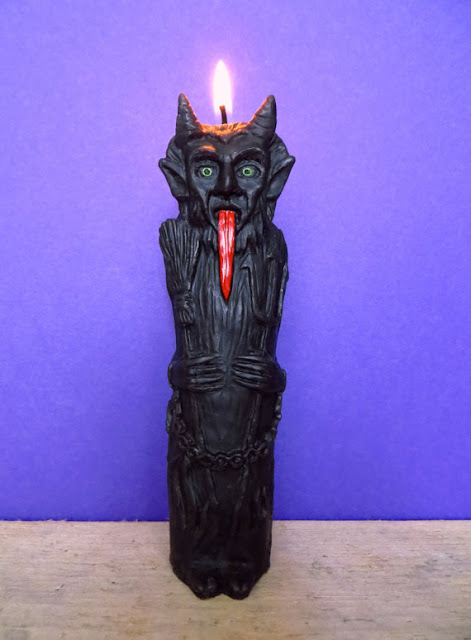 There are a few different options for Krampus candles. I'd probably only display these at Christmastime. 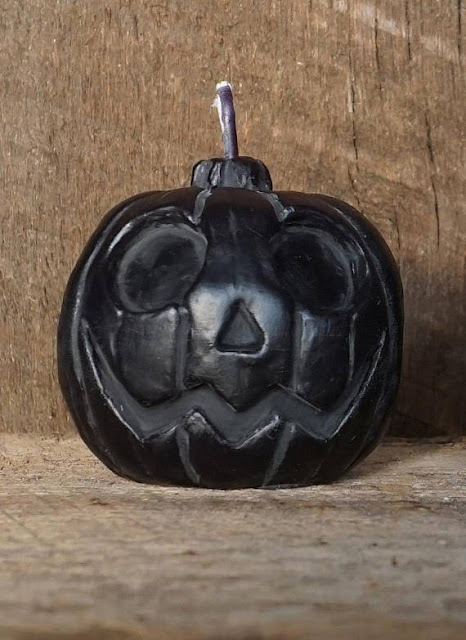 I don't run across a lot of black beeswax pumpkin candles so I'm glad to have discovered this one! The shop also offers an intricate Cthulhu candle for those of you who are Lovecraft fans. Shop for these candles plus some carved wood items at the Creature Carvings shop on Etsy!